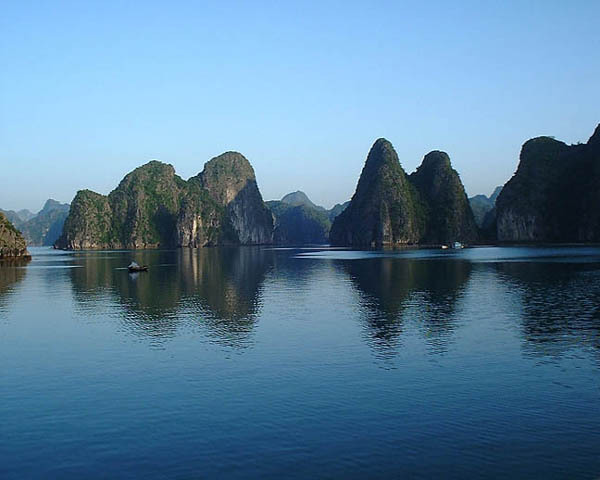 Send Itinerary to email "MID-RANGE CRUISE 2 DAYS / 1 NIGHT"
Experience Halong Bay, on a V’Spirit Classic Cruise, one of the best mid-range cruises available. You will not only see many fantastically shaped islands, beautiful beaches, and great natural caves, but you will also learn more about Halong Bay’s history and local people. Điểm: 5/5 (Có 1 người bình chọn). Pick-up at hotel and start the scenic, 3.5 hour drive to Halong Bay. Enjoy the landscape of the Red River Delta country side and have a short break on the way. Kayak among the hidden areas of the bay, around the Luon Cave area. Dinner is served. Socialize with other guests, fish for squid, or just laze around Overnight on board. 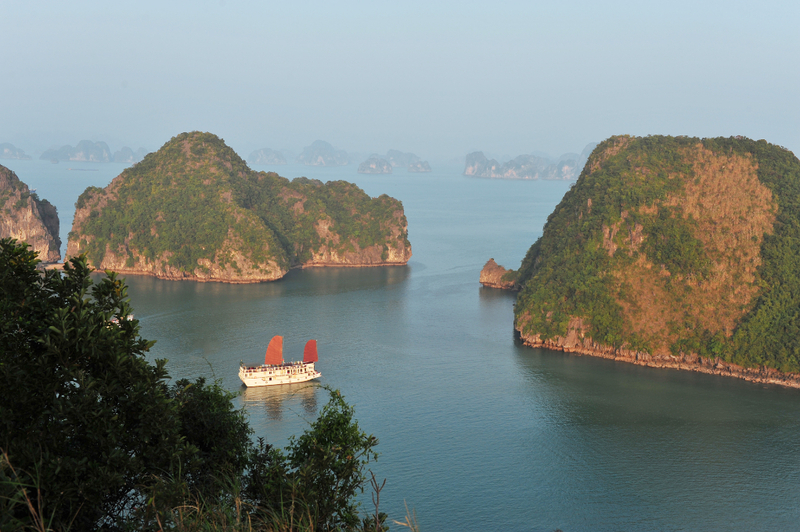 Explore the amazing Sung Sot Cave – the nicest cave in Halong Bay. Return to the boat. Freshen up and check out of your cabin. While heading back to the harbor, watch the cooking demonstration before enjoying a traditional Vietnamese lunch. 12h30 Transfer back to your hotel in Hanoi city center. A valid passport is required upon check-in onboard.. Please fill in the details! Thanks for your interest in Hue Tourist! 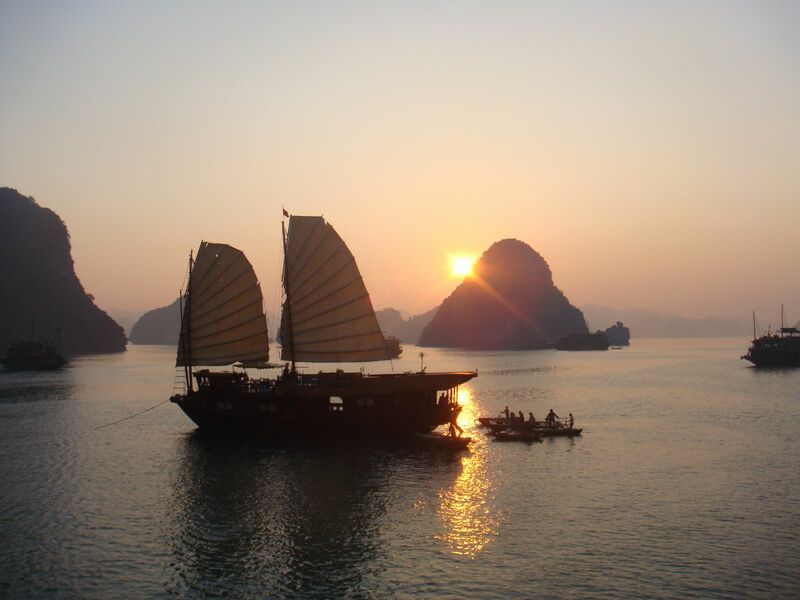 Copyright © 2013 HueTourist VietNam.